The first allegations of Israeli intelligence “moles” not only in the ranks of Hezbollah but in its holy of holies – the secret service, surfaced in December of last year. The newspaper The Jerusalem Post, referring to publications in Lebanon and Kuwait, even mentioned the name of one of the detainees, Mohammed Shawraba, the head of the so-called secret services unit 910 of Hezbollah, which is responsible for operations abroad. Previously, he allegedly was even a member of the security detail for the organization’s leader, Sheikh Hassan Nasrallah. Together with M. Shawraba, four of his colleagues were also detained. The publication suggested that the reason for his detention was his alleged involvement in the five unsuccessful attacks by Hezbollah saboteurs on Israeli targets and Israeli citizens abroad. Suspicions of counter-intelligence by Shawraba emerged after the terrorist attack in 2012 in the Bulgarian city of Burgas, which killed five Israeli tourists and injured more than twenty. The reason was the public disclosure by the Bulgarian Ministry of the Interior of the names of the two Hezbollah fighters indicated as the main suspects. They were known to a strictly limited number of people, which included M. Shawraba. His guilt was also implicated by the submission to the Israelites of the names of Hezbollah operatives acting illegally abroad and arrested in a number of countries by local security forces. It has also been reported that M. Shawraba is 42 years old. He was born in southern Lebanon in a family of religious leaders sympathetic to Hezbollah. He lived in Beirut and was considered quite the successful entrepreneur. Doing business was apparently a good cover for his trips abroad. According to one statement in 2008 he offered Mossad his services, having become disappointed in the ideology and activities of Hezbollah, according to another he was recruited by Israeli intelligence and periodically received dividends for his work. Over several years, the total amount of payments amounted to 1 million USD. This supposedly was uncovered during the interrogation of Mohammed Shawraba. 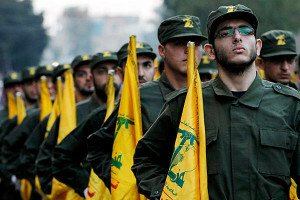 According to the English-language edition of the Lebanese publication Daily Star, the counter-intelligence operation to identify Israeli intelligence moles in the ranks of Hezbollah, which has been in progress for 7 months, actively involved security officials in Iran. In their missives to M. Shawraba’s group, they began to convey false information. Particularly on the delivery to Hezbollah formations of weapons from Iran through Syria. As a result, the Israeli Air Force struck at the decoys, thus confirming Hezbollah’s suspicions of M. Shawraba’s involvement in counter-intelligence. This was the third discovery of spies in the ranks of Hezbollah in the last three years. In June 2011, its leader H. Nasralla announced the elimination of two CIA agents in the ranks of the movement. Just a year later, in June 2012, three people were arrested who worked for the US intelligence service and Israel. In this latest unmasking, there are many questions to which there are no clear answers. According to one version that appeared on January 6, 2015 in a number of online resources, Shawraba since the mid-2000s until his arrest was the manager of a group of companies founded by Hezbollah in Italy and Spain. Through them weapons were bought for the organization, money was laundered, and high-tech equipment that would fall under Western sanctions was acquired for Iran. In 2005 he met a beautiful girl in Europe. In 2007 he allegedly secretly married her without informing his superiors. In fact, she turned out to be an employee of a foreign intelligence agency, with all the ensuing consequences. After the arrest of Mohammed Shawraba, his companion disappeared without a trace. The latest event is more resonant in its consequences than all previous unmaskings. If Mossad actually managed to have an agent penetrate into the special operations unit of one of its dangerous enemies and obtain first-hand information about its plans and intentions for 6 years, then for the Israeli intelligence service this was an undoubted success. For Hezbollah the collusion of the employees of its secret service, even if not voluntary, with its main opponent means that all is not perfect and safe in this movement. Probably not by chance, to replace the disbanded secret services unit 910 of Hezbollah, a new secret department was created, to be administered directly to the Islamic Revolutionary Guards Corps of Iran, and in this movement, according to Sheikh Naim Kassem, measures will be taken to preserve the purity of its ranks.